Alluring but barren, omega is an unfortunate affliction Skye is trying to outrun. He gets away with it for several years, fleeing to a new city whenever the wolves get too close, but his survival mechanism creates a terrible, unforeseen result. By dodging and ducking every rogue alpha to approach him, the one that finally keeps up is the size of a truck. ​This alpha is not a wolf to be disrespected, and Skye is all too aware of his place in the pack. Natural selection has never been kind to him. But strangely, his new alpha is. Liam doesn’t have a plan, but he’s got the basics covered. As far as food, shelter, and clothing are concerned, he does right by his omega. But still the smaller wolf flinches from him and never speaks. Every mild suggestion is obeyed to the letter. Something’s not right, he knows that, but maybe it’s for the best. His omega wouldn’t stay if he learned the truth. 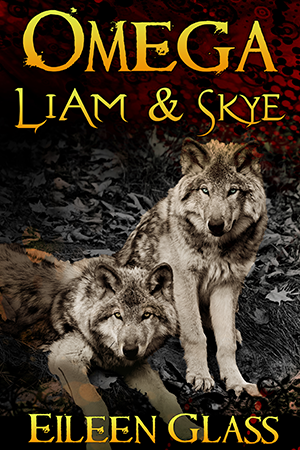 Omega: Liam and Skye is a finished serial novel containing all 12 books.